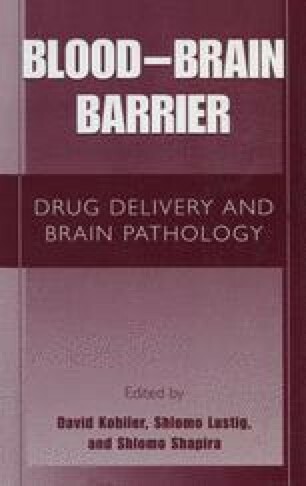 In the context of drug delivery, the brain is an unusual organ, since its capillary endothelium forms a barrier between the blood and the tissue, the blood-brain barrier (BBB) (Abbott and Romero, 1996). There are many reasons why the brain requires such a barrier while most other tissues do not, with the need for precise control of the brain microenvironment for reliable neural signalling being a major factor. The brain endothelial barrier has many features in common with epithelial barriers such as the intestinal epithelium. As with epithelial barriers, in vivo, in vitro and theoretical approaches can be used to study and predict the penetration of drugs across the BBB (Habgood et al. 2000, Krämer et al. 2000).